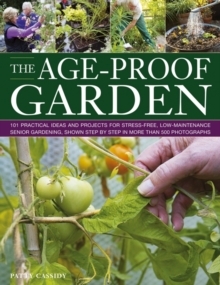 This title offers 101 practical ideas and projects for stress-free, low-maintenance senior gardening, shown step by step in more than 500 photographs. It presents ideas and inspiration for older gardeners wanting to keep healthy and active in the garden for years to come. It considers the practical decisions that are required in any garden, strategies to cater for individual disabilities, and sensory features to stimulate sight, sound, smell, touch and taste. It explains how different types of garden, such as flower gardens and fruit and vegetable gardens, can be designed for good access, low-maintenance and ease of care, as well as creative impact and productivity. An extensive plant directory is packed with easy-care options for all types of garden. It features accessible techniques, step-by-step projects, garden plans and over 500 photographs. You can discover how easy it is to carry on gardening into and way beyond retirement. 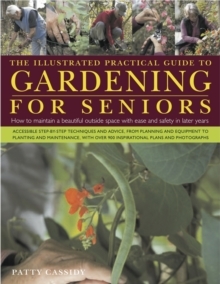 This book shows how to plan a garden that is suitable for older people. It gives an overview of plants that will stimulate all five senses, and covers flower and herb gardens, fruit and vegetable gardens, and gardens with flexible features, such as containers, upright structures and raised beds, and indoor gardens. There is an extensive directory of planting ideas, each with an ease-of-maintenance rating. The book will give all enthusiasts, whatever their age, the wherewithal to carry on gardening and enjoying their outside space for as long as it gives them pleasure - forever.